Changing History Forever! AKHENATEN DISCOVERY CHANGES HISTORY FOREVER! DARK JOURNALIST & DR. CARMEN BOULTER…..
Australia Day plane crash into Swan River leaves two dead, fireworks cancelled….. Sexual Assault in the Amazon…..
To Vaccinate or Not to Vaccinate – That Is No Longer the Question!…..
Christine Joanna Hart interviewed on The Opperman Report….. 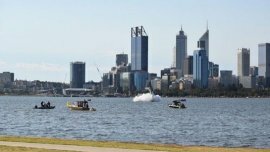 The City of Perth Skyshow event – billed as the most expensive in the country – was cancelled in the wake of the tragedy. Acting WA Police Commissioner Stephen Brown was at the foreshore event preparing for a live television cross when he heard mass commotion. Remember 7+7 years ago to the day when they started the fireworks show with 88 light beacons as a memorial to the 88 Aussies THEY say died in the Bali Bombing on 12/10/2002? 14 years is 168 months = 8x (7+7+7) months. 168+(1x6x8) = 216 = 6x6x6. Grumman Mallard in Simple Gematria Equals: 148 = 37+37+37. Plane built in 1948 = 69 years old. 69 on the top brick in the Freemasonry arch. Ainlay Dixon, her husband, and three of their four children were in a town in central Ecuador, midway through a South American tour, when a guide approached and offered to take them on a four-day jungle excursion to see the “authentic” Amazon: an indigenous village led by a real shaman. To get there, the family took a 4×4 as far as they could down a rutted road, which soon dwindled to a trail; they made the rest of the way on foot. Eventually, they arrived at a small village where they were introduced to the village chief, a well-known shaman who’d had tourists flocking to his remote village ever since he’d been featured on a news show in Ecuador. That night, the shaman held a welcome ceremony for the new guests. They sat in a thatched roof hut while he blew pungent tobacco smoke on them, invoking a charm of protection. The novelty of the experience was tempered by the presence of another American — a strawberry-blonde Harvard Divinity School student named Lily Ross, who had been living in the village for the past few weeks, working for a grassroots nonprofit and researching shamanic practices. The seriousness of this expose is beyond question. Millions of children worldwide have been immunized against a virus that does not exist. It is surely the medical scam of the decade. What substances have been transferred into the veins of these innocent children? To Vaccinate or Not to Vaccinate – That Is No Longer the Question! Christine Joanna Hart is interviewed on The Opperman Report with Ed Opperman about her life and background, super soldiers and her work. Uri Geller is back in the news, which will please him. His name stands out in the CIA’s mass online release of classified documents last week, relating to the testing of him by Russell Targ and Hal Puthoff at Stanford Research Institute in 1972-3, and I’m interested to see how the media is reacting. 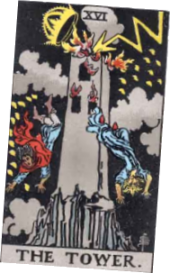 This entry was posted in alignments, Alternative Investigations, Ancient, Art, Conspiracy, Ellis Taylor, History, Howlin' at the moon, Interviews, ley lines, Mysterious, Numbers, Numerology, Numerosymbology, Occult, Portals, Rituals, Sacred sites, Sacrifice, Surveillance state, targeted individuals, Uncategorized and tagged 911, akhenaton, atlantis, ayahuasca, number 23, pyramids, vaccinations. Bookmark the permalink.